Yet another way to bring in the bees! Brilliant chartreuse foliage, lovely lavender blooms. 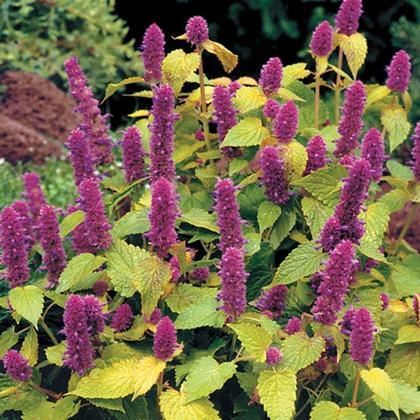 Pinch out tips once or twice during the summer to keep it bushy and cut back before seeds ripen if you don't want a lot of baby Agastache running around. 'Golden Jubilee' is generally a perennial around here, so choose a planting location carefully.